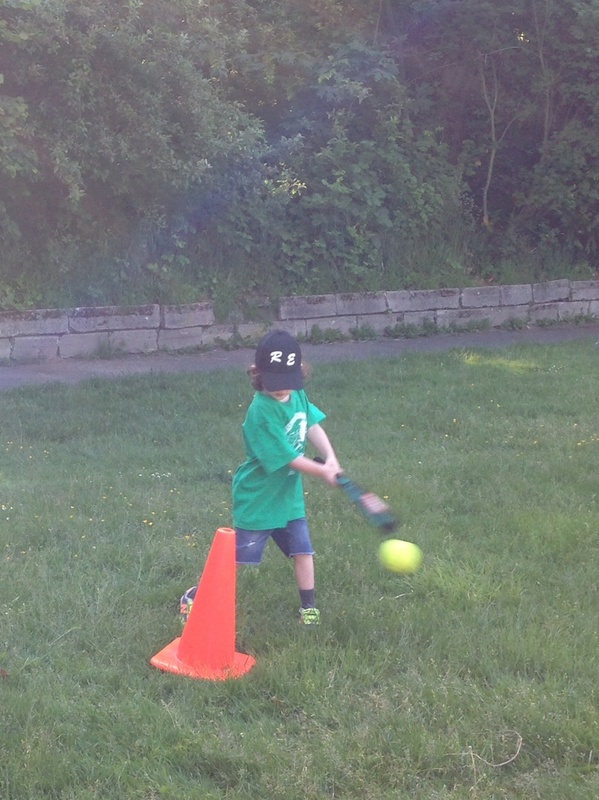 Jack played t-ball for the first time last month. In fact, it was his first team sports experience outside of school. I won't say it was all fun and games...there was one night where we both left crying after a long and completely frustrating protest of t-ball playing. It was one of those moments that leaves you, as a parent, wondering why you are even doing said activity in the first place. It drove me to read parenting articles and blogs, which led me to a clearer perspective of my goals and a plan to use in navigating this obstacle moving forward. And, I'm relieved to say that, aside from that one night, we all 3 had a blast meeting new friends and Jack loved being part of a team and learning something new. He was quite serious about it at times- check out that look of pure determination when he's running the bases with his tongue sticking out, just as his Auntie used to do- and there were moments where he was completely the opposite of serious- when he twirled around in the field with his glove atop his head or when he sat on the base cones and pretended they were horses. In other words, he acted just a t-ball player should. 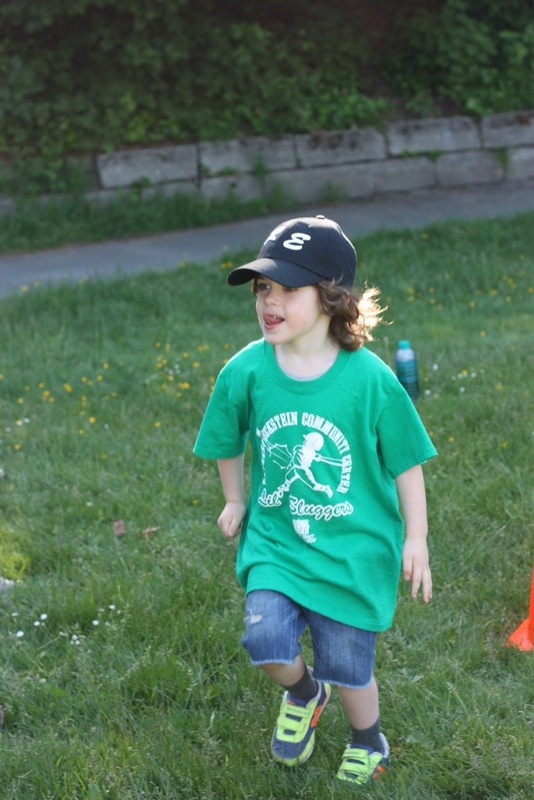 This week Jack starts a new t-ball league, with actual games, that lasts through August. We are looking forward to more fun, more new friends, and more mastery of skills. And, of course, the most exciting things- trophies and end of the season parties (with baseball cupcakes)!